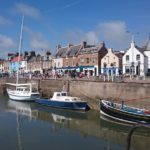 Home / Posts tagged "holiday"
Summer 2018 is the first full tourist season that In Touch has been located in the beautiful East Neuk, with it’s own treatment room, and mobile services too. 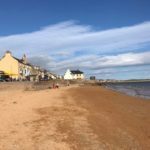 The lovely sunny weather we have all been enjoying has brought lots of holiday makers and day trip visitors to the East Neuk and In Touch has been fortunate to benefit with an increase in bookings from people who are enjoying their holiday in the area. 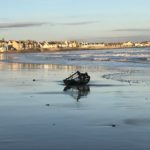 There is so much to see and do here with the picturesque fishing villages, arts festivals, food events, golf courses and distillery tours to name a few, and thats before you consider the coastal path and the countryside options for walking, cycling or running. 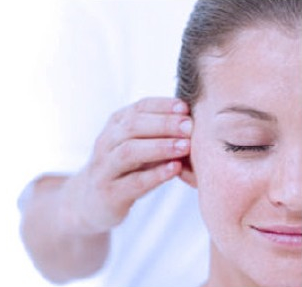 With all these activity options it’s not surprising that visitors are also looking for ways to totally unwind and are booking indian head massage or reflexology treatments as part of their stay. 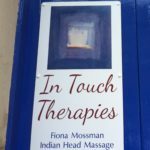 The In Touch treatment room is on Colinsburgh Main Street, just two miles from Elie. 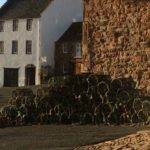 It’s handy for Pittenweem, Anstruther and Crail, and St Andrews is also nearby. So it is well placed to offer further opportunities to enjoy your well earned break. 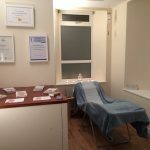 Dont forget that In Touch can also offer mobile treatments in your holiday accommodation, including caravans and cabins. The equipment in the pictures below sets up easily anywhere! 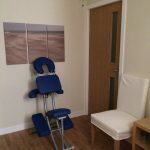 Here is some feed back from Sarah who is lucky to have her own holiday accommodation nearby and now makes sure she books in as part of her time in the area.